What’s going on in the Cellar? Harvest started a little earlier than usual this year as we had a new little project to take a jab at. A Bubbly was to be made!!! The first Pinot Noir was brought in on the 25th January, at carefully monitored 17.6 degrees balling. The flavours were good, the acid fresh and the calculated alcohol spot on- this could only be a good MCC!!! The blush base-wine was re-inoculated and bottled in October, and a sneak preview has confirmed our excitement about the quality is not in vain. But sorry, you will have to wait another year to taste…. Another of our pet-projects gone overweight on us is the “Fat Pig”! Let’s call this Cape Vintage (we are not allowed to call it a Port anymore) “Snort” to stick with the theme. This humble little 2 barrel project has become such a favourite that we have had to upscale production to 14 barrels of this fortified, barrel matured satisfier of Bacchus’ sweet tooth. Unfortunately there is also a bit of wait for the Fat Pig too as we do not want to rush it in the name of sales. The wait, however, will not be too long and will be well worth it- We look forward to Snorting with you in the new year! 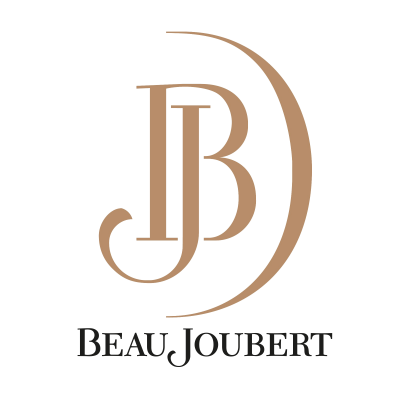 It could be Beau Joubert Vino Zoo with all the “pet”-projects we have going. 2012 was the first vintage of our OVC (Old Vine Chenin Blanc), lovingly dubbed “Ovies” by the cellar staff. The idea was to tickle the wine with a bit of oak, just to flirt with the fruit flavours, to excite the body and to accentuate the mouth-feel. Again, this barrel fermented and matured Chenin has gone wild and production doubled in 2013. 2013 was an interesting year for winemaking. The whites were challenging and needed a little more attention to perform at their best. Citrus flavours were prominent and the acids were good though. The reds on the other hand, were ripe, full and looked very promising from the start. From the barrel samples tasted, 2013 is looking like a very special vintage for reds. 2014 is looking like a very good vintage at the moment. We have had the coldest, wettest winter in many years, slightly longer winter and very mild temperatures to date. If the late season carries over, we would have a longer mild ripening period and this would mean good phenolic ripeness with slightly lower sugars, which in turn means lower alcohol levels. We hold thumbs that the weather continues its trend and that the 2014 vintage turns out to be all it promises.